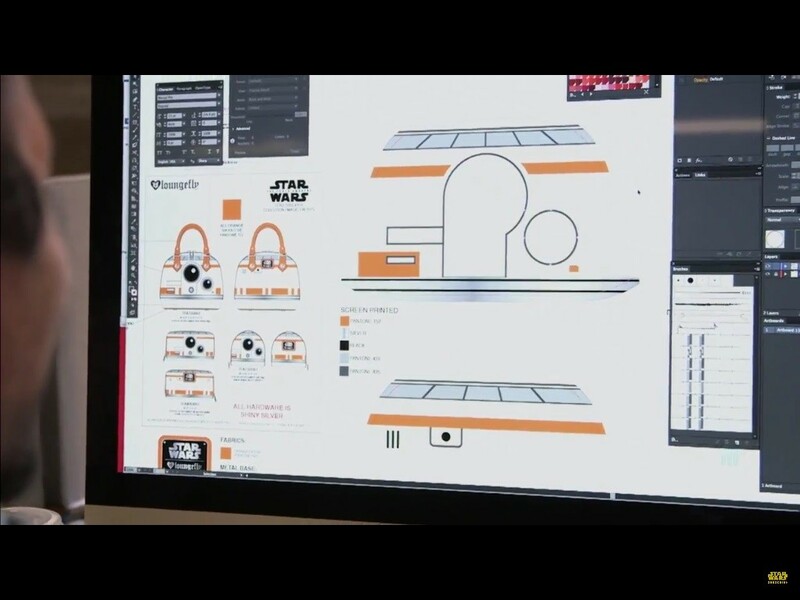 During the Star Wars Livestream Unboxing event on youtube, a segment was played that gave a behind the scenes look at Loungefly and their Star Wars products. 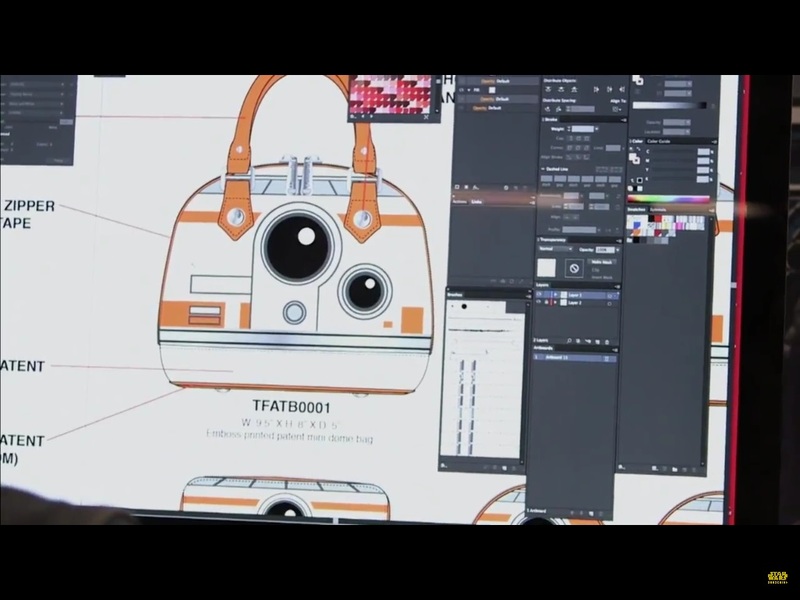 The footage was a great look at the design and creation process, but also including some sneak peaks at upcoming products including a BB-8 dome bag! 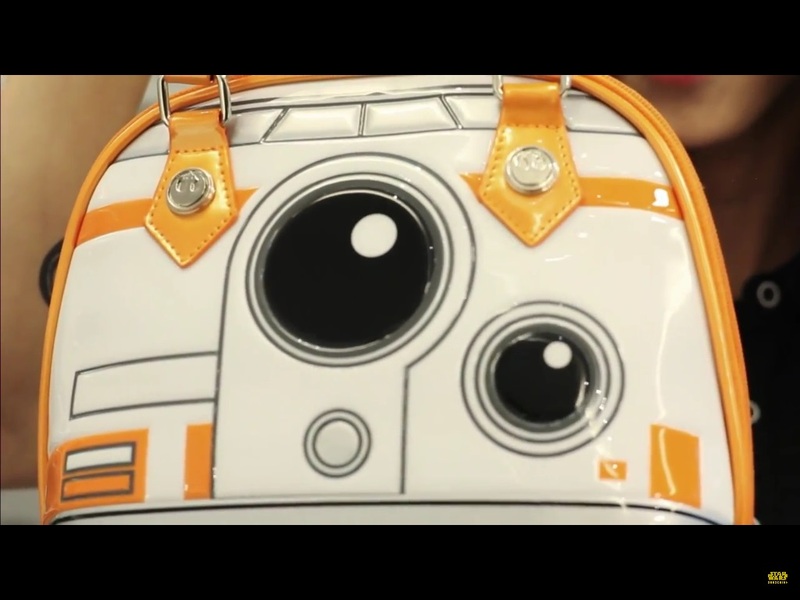 This is just so exciting – BB-8 already has tremendous appeal, and I was really hoping to see some fashion items featuring the new droid. 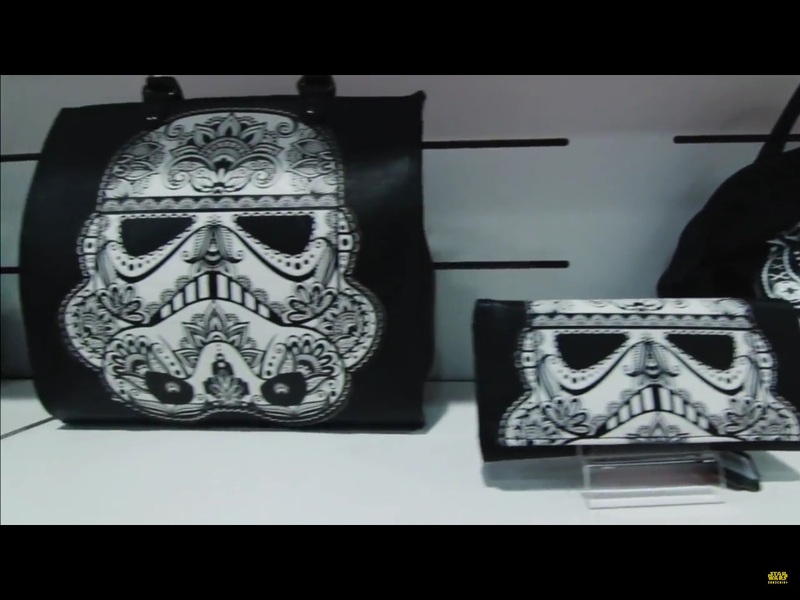 Also spotted in the video – matching BB-8 wallet and coin purse, First Order Stormtrooper wallet, Captain Phasma dome bag, and matching bag and wallet set featuring the white print previously sneaked peaked. 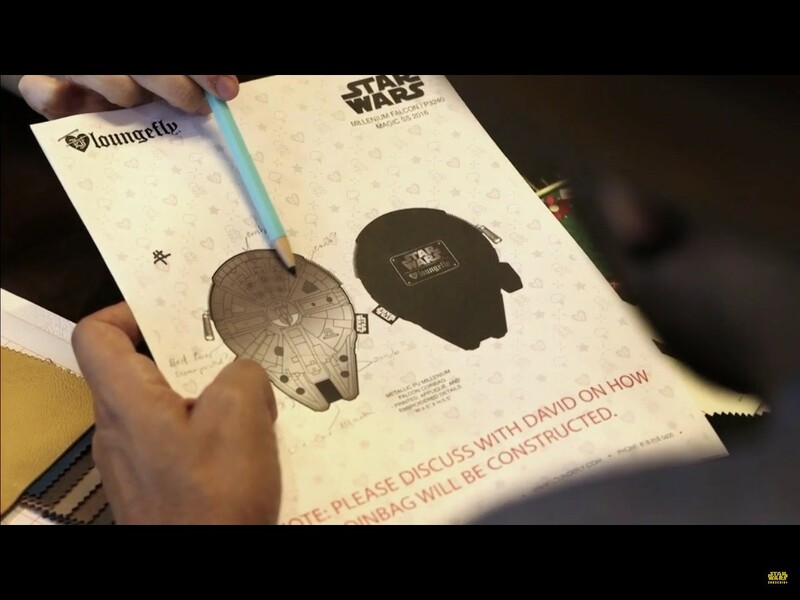 Check out the photos below – I apologize for the resolution of some of the screenshots, I was watching the livestream on my ipad at the time this segment aired. *Update* I managed to grab a few more photos during a re-run segment! 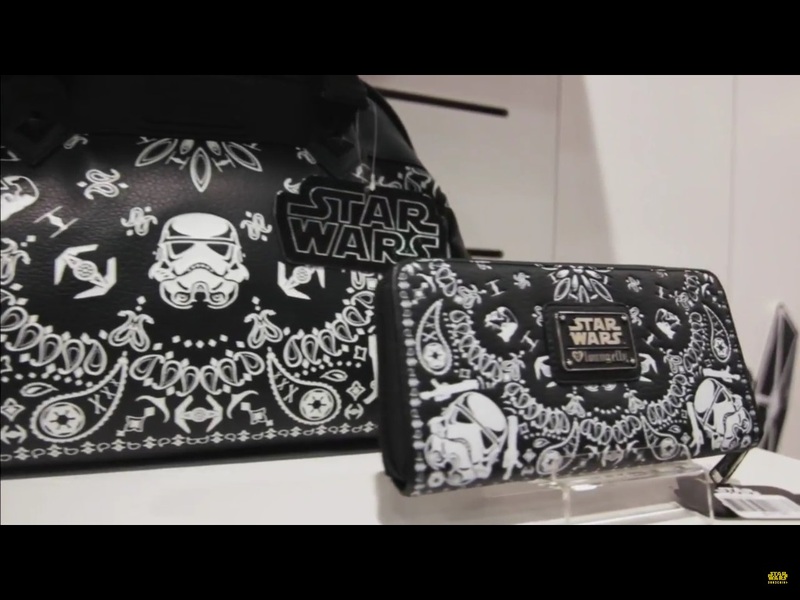 They include a new Millennium Falcon coin purse design, the back of the Captain Phasma dome bag, and a neat behind the scenes photo of the creation of the Loungefly x Star Wars plaques that feature throughout the collection. 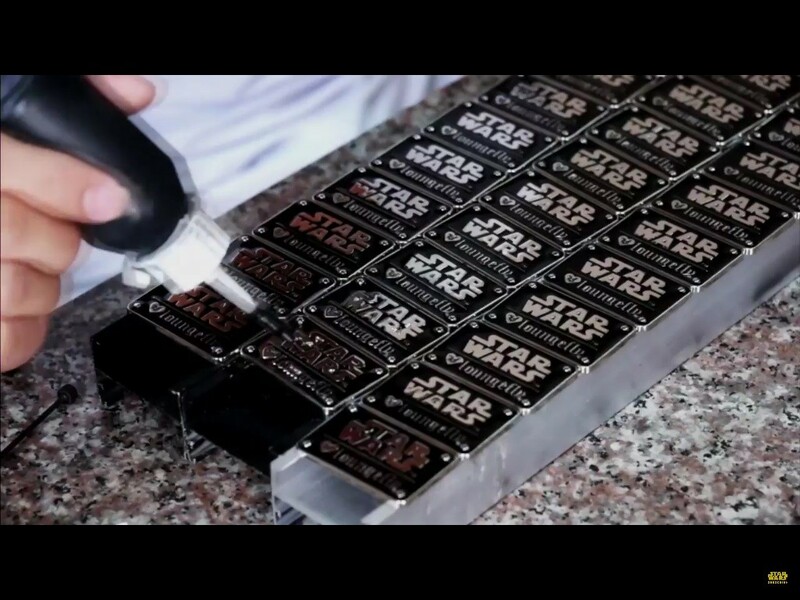 Photos sourced from and belong to the Star Wars official youtube channel. 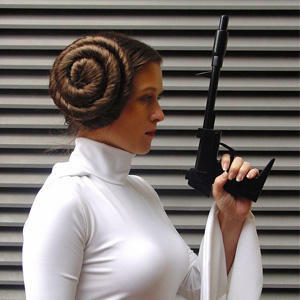 Next Post Force Friday Fashion!